Continuing part two of our self-care series is our mid-day routine to keeping yourself feeling good both mentally and physically. It is very easy to get into a slump in the middle of a workday, especially if you’re sitting at a desk for hours at a time. Instead of going for that second cup of coffee, take a peek at the suggestions below to feel better in the middle of your work day. Endorphins can boost your mood mid-day, and getting outside in fresh air will help wake you up in the middle of that project you’ve been working on. 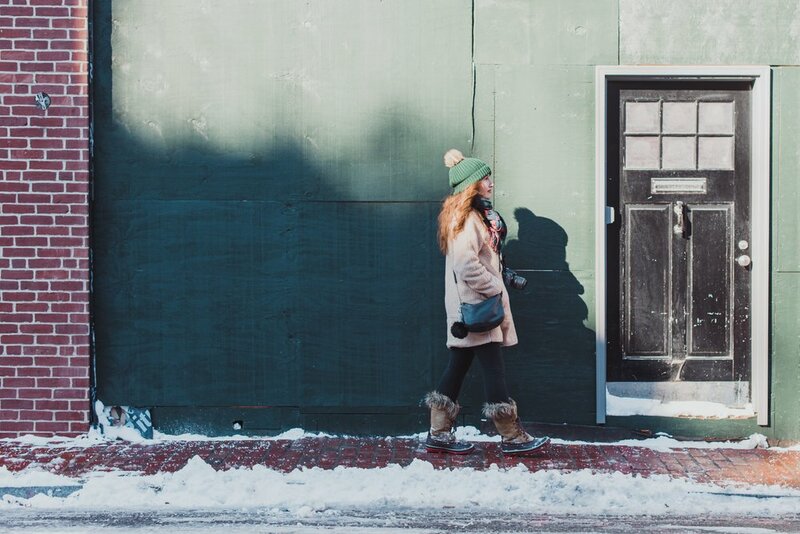 If you work in a walkable, safe area, take a coworker (or bring your phone and headphones) and go for a quick stroll around the neighborhood to get your blood pumping and give yourself an energy boost. You’ll feel ready to tackle your work when you get back to your desk. If you have a step tracker, you can set yours to remind you at ten to the hour when you haven’t walked a certain number of steps yet that hour. You can use that as your reminder to get up and go for a quick walk. While it can be tempting to go over to the break room to eat leftovers or raid the vending machine, snacks that are high in sugar are going to give you a temporary energy boost that will inevitably lead to a crash. Having higher protein snacks on hand, such as almonds, protein bars, or dried jerky, can be great in a pinch. so you don’t have to run out to the store mid-day or give into office snack temptation. Keep a few items in your purse or your desk drawer so you don’t have to run out to the store-mid-day or give into office snack temptation. Also, remembering to drink water throughout the day (set reminders in your phone if need be) is really important not only to keep you hydrated, but also to wake you up. Our bodies are made up mostly of water, so not drinking enough throughout the day will cause you to feel tired. Some offices have created “revitalization rooms” that are quiet spaces with a couple of lounge chairs to rest and relax for fifteen minute increments. If your office has a space like that, make a reservation for a fifteen minute block and use it! There is a health benefit to taking a break and using that time for a quick nap, to meditate, or listen to music or a podcast. While taking time away from work may seem counterintuitive to productivity, a short break away from whatever you are working on can clear your mind so that you return to your work rejuvenated and possibly with some fresh ideas. What are some other ways you build self-care into your work day? Join the conversation with us on Twitter! Heather Slugaski is a clinical social worker living and working in North Carolina. You can follow Heather on Twitter @heatherlynnsw.